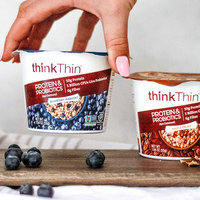 There are many just-add-water oatmeal cups out there, but this lineup brings a little extra something to the table (or lack of table, if you're on the go)! The bonus protein makes it super satisfying, and the probiotic punch is great for gut health. In Blueberry Harvest, Cinnamon Almond, and Maple Pecan, we LOVE that this creamy hot breakfast isn’t overly sweet. HG tip: Add a few more ounces of water than the label calls for, and let it thicken for a bigger portion a la Hungry Girl Growing Oatmeal. Click to locate, or order online. 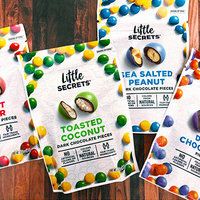 If you're going to eat chocolate, do it right with these bite-sized, nothing-artificial, premium dark-chocolate treats! They’re made with fair-trade chocolate, and the colors come from plant extracts. Best of all? The flavors are AMAZING: Sea Salted Almond, Toasted Coconut (the HG favorite), Limited Edition Spiced Pumpkin Pie, and more. FYI: The flavors with nuts inside are the ones that have fewer pieces per serving. Another FYI: The brand’s Crispy Wafers are equally spectacular! Find some ASAP, or order from Amazon. These dairy-free creamers are described as a "cuddle in a cup," and we couldn't agree more. They’re made with raw macadamia nuts and coconut cream, resulting in wild creaminess! 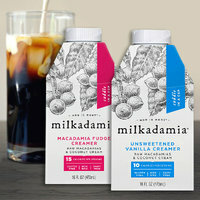 The Unsweetened Vanilla is right up our alley, and the Macadamia Fudge flavor tastes like the best chocolate milk ever. (We didn't chug it from the carton… but we wanted to.) Click to locate! 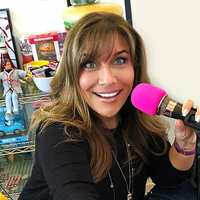 It’s a Special 80/20 Episode of Hungry Girl: Chew the Right Thing! And that's all we've got… 'Til next time, chew the right thing! Get your snack on! FYI: We may receive compensation from some of these links. Pass along all this good news -- click “Send to a Friend” ASAP!